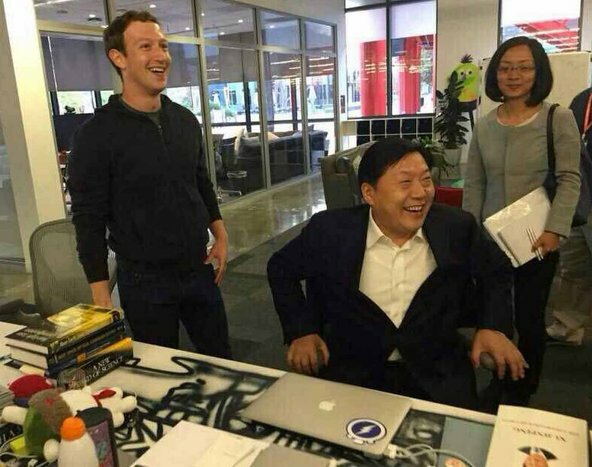 Xi Jinping, Li Keqiang, like Hu Jintao, and Wen Jiaobo before them, they all use Facebook as a social media / propaganda platform. I have no idea what motivates Zuckerberg, but I hesitate to suggest that one motivation is at work in China where factionalism is always below the surface. This might be a soft power push or a move to allow for competition within the Chinese marketplace. The internet industry is hardly monolithic in China, too. It’s certainly a hard sell to allow Taobao and Baidu to operate overseas when so many other internet companies are outright banned and unknown on the mainland. Follow the money and the answer will appear.